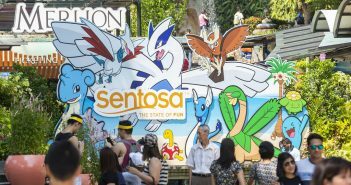 Mention Bishan-Ang Mo Kio Park and what comes to mind is a great place for an evening jog, to bring your kids to the water playground and perhaps to spot the beloved otters of Singapore. But aside from all these, you may not know that it is also a great place to bring your date or family for a tranquil meal in the midst of greenery. 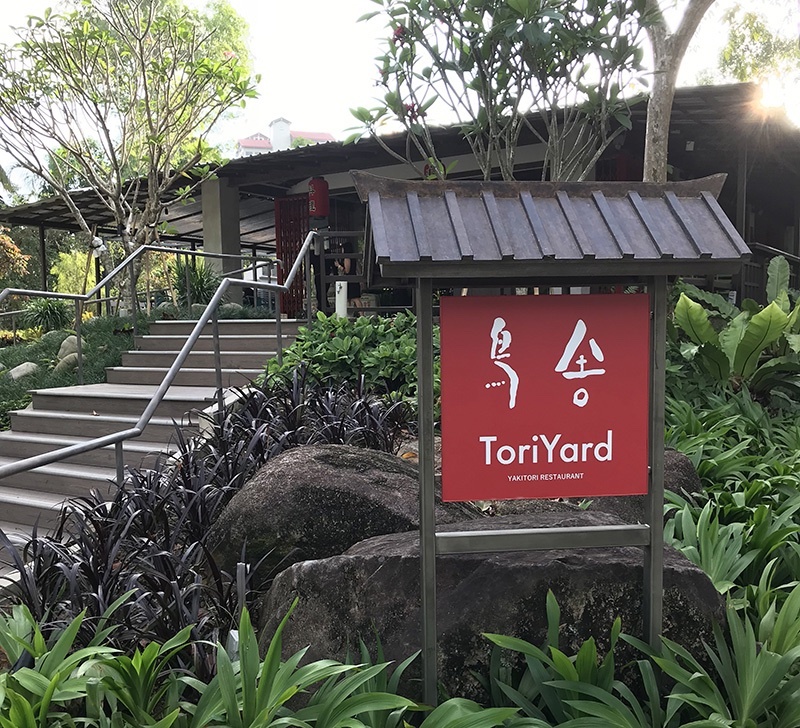 Located with this lush verdant compound of the park is ToriYard, a newly opened yakitori joint newly opened by Singaporean-actress-turned-business owner Jazreel Low. 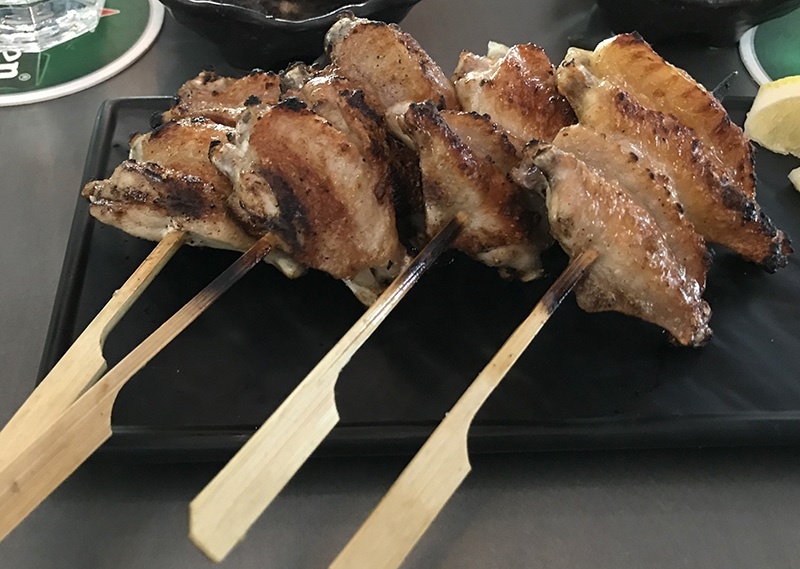 ToriYard provides a menu of Japanese yakitori created by Chef Hasegawa Isao, who has 40 years of culinary experience in Japan, France and Malaysia. 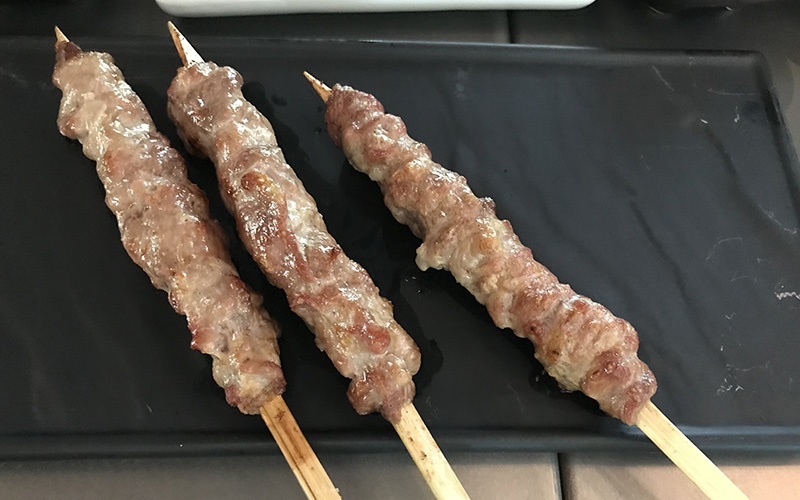 Run-of-the-mill yakitori is not what you are going to get here; Chef Isao specialises in a unique way of folding the yakitori to seal in the flavours. Toriyard provides an array of condiments and sauces to go with your yakitori. In addition, the restaurant provides many choices of sauces to add to your meal, but as I found out later the dishes themselves were tasty enough to not need condiments. 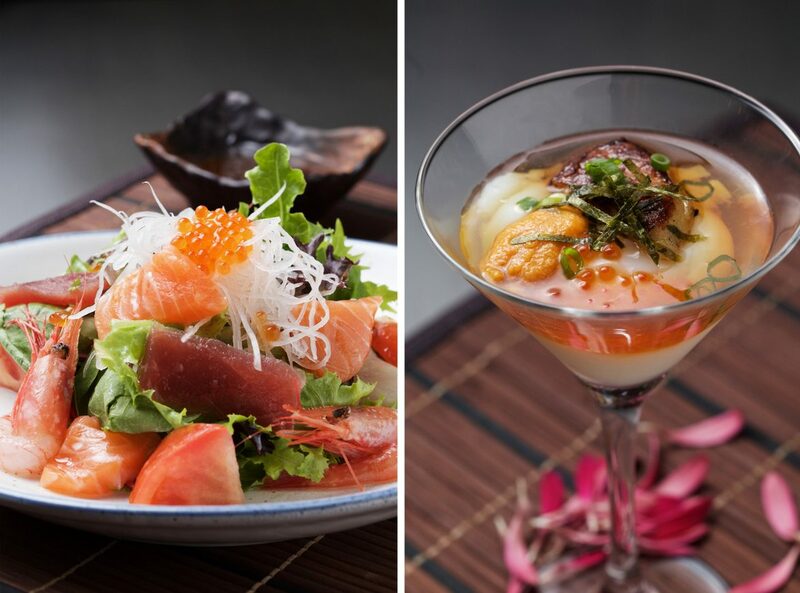 For starters, we kicked off with the sashimi salad ($19). The salmon, sweet prawn, swordfish, tuna and salmon roe all came together in a perfect sweet and savoury medley. The Onsen Tamago Cocktail ($17), comprising onsen egg with foie gras, salmon roe and sea urchin, was light, crisp and warm. However, I found the onsen egg a tad cold, which perhaps I can forgive as it may have been prepared too long beforehand for the tasting session. 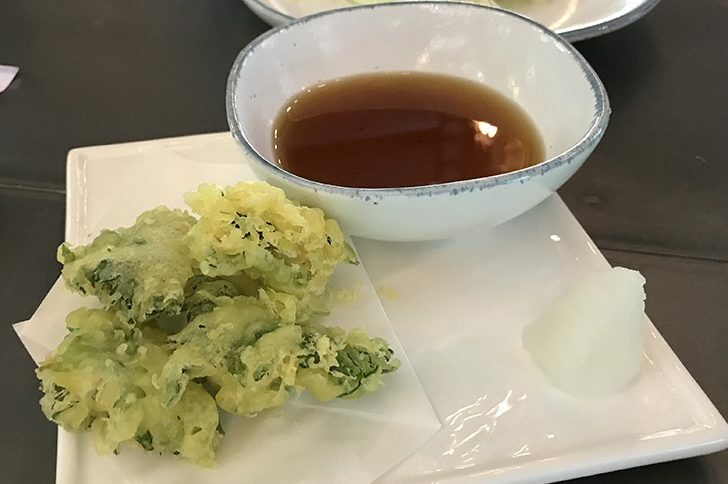 The Tebasaski Gyoza (S$15) appears to be a whole wing, but is actually a winglet deboned leaving only the tip with bone. Despite it being a starter, I found it to be rather filling. This certainly suits those who prefer a heartier start to their meal. Another starter worth considering is the Tsukune Ohba Tsutsumi Age ($12). 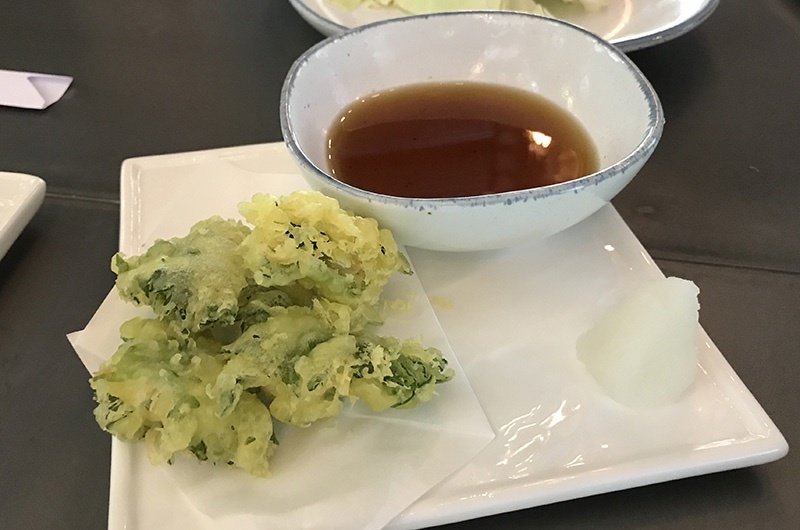 I found this dish – which is essentially deep-fried chicken balls with perilla leaves – to be excellent when combined with the dipping sauce. 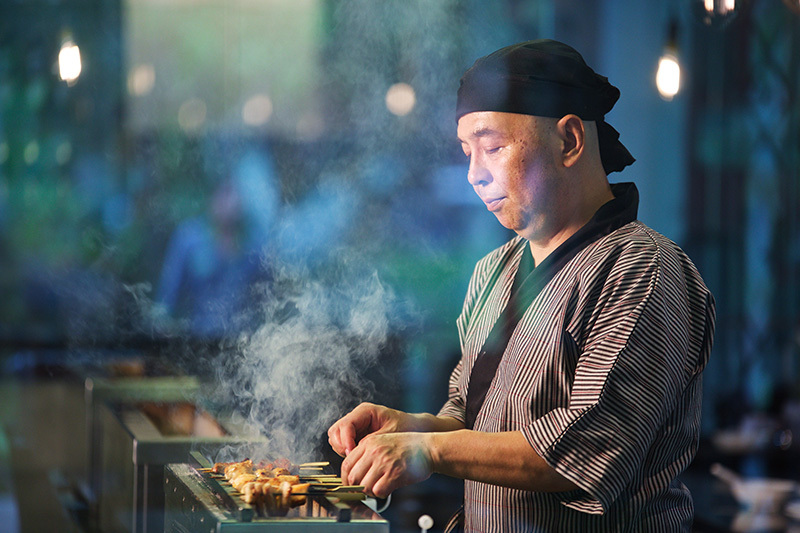 Needless to say, the main stars of the restaurant are the yakitori. 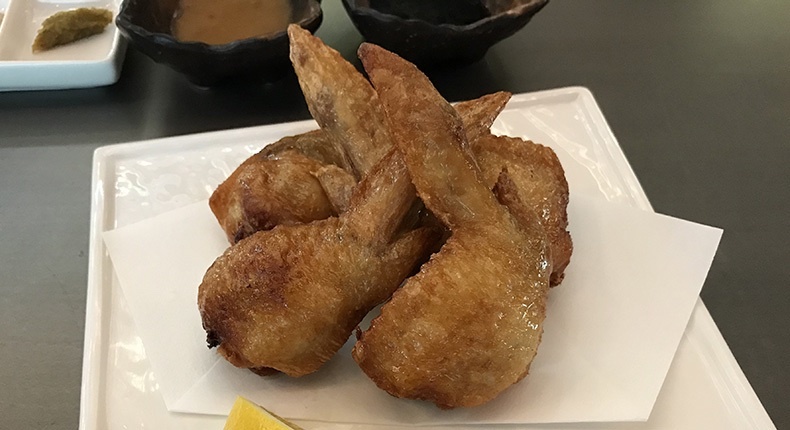 The Tebasaki chicken wings (S$4) make for a good choice (S$4); the wings were crispy and seasoned enough to not require any additional sauce or condiments. The same, however, can’t be said for the Momo chicken thigh (S$7), which I found to be a tad plain and requiring an addition of sauce. 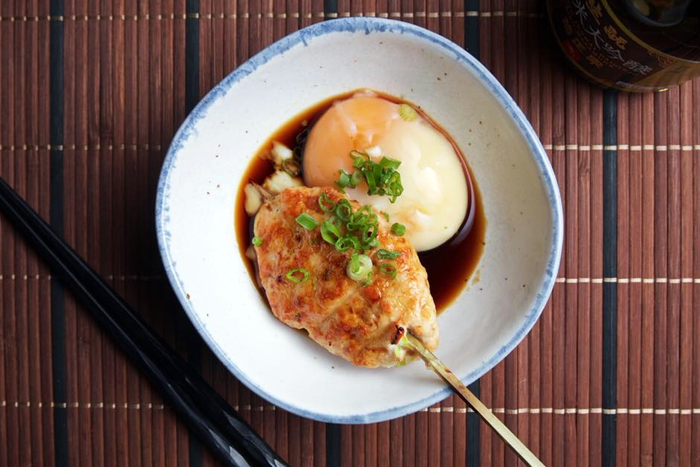 Egg lovers will find delight in the Tsukune Chicken Meatball (S$8). Not quite your usual type of yakitori, it comes with an onsen egg seasoned with teriyaki sauce. There are a couple of yakitori that are good enough to eat on their own. One of them is the Buta Kubi (S$5), which is Canadian Pork Neck seasoned with sea salt. Despite only having sea salt as its only seasoning, it was tender and flavourful. My favourite, though, is Gyu (S$8). 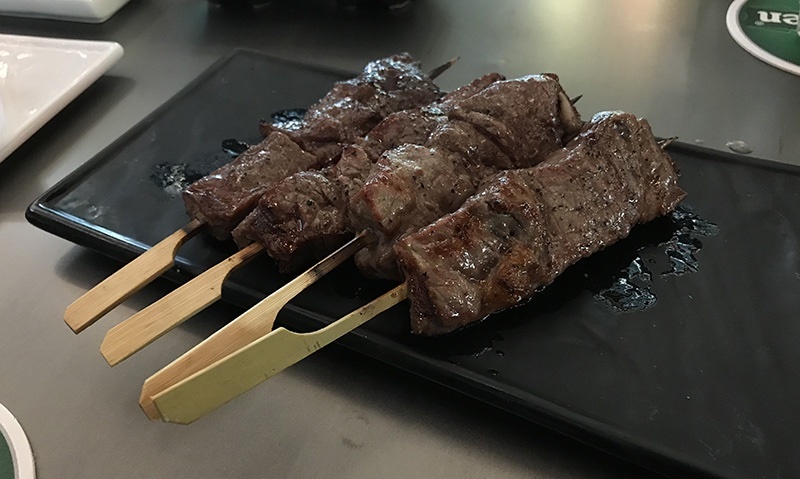 As a beef lover, this yakitori of US Angus Ribeye was my favourite dish of all and was full of flavour with needing help from extra sauces. There are also seafood items on the menu. 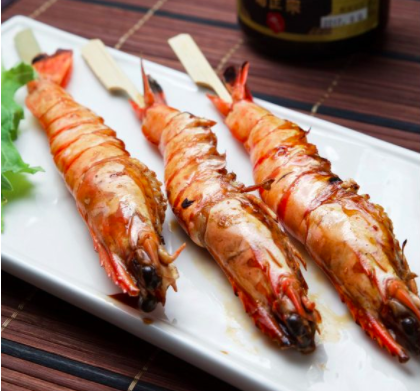 I only managed to try the Ebi (S$6), which uses tiger prawns seasoned with teriyaki sauce. Compared to the meat yakitori I had, this came across as somewhat underwhelming. 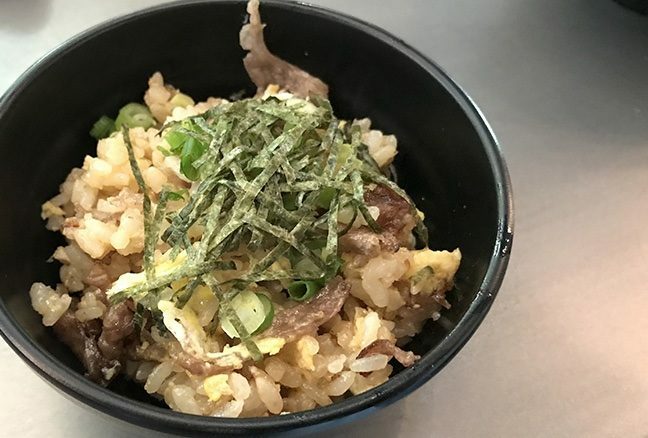 For those who still want that bit of carbo to complete their meal, the Wagyu Fried Rice (S$16) might be a good choice. According to the restaurant, this is one of the most popular items on the menu. 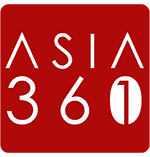 You will find it different from your normal Singapore fried rice as the rice is softer. 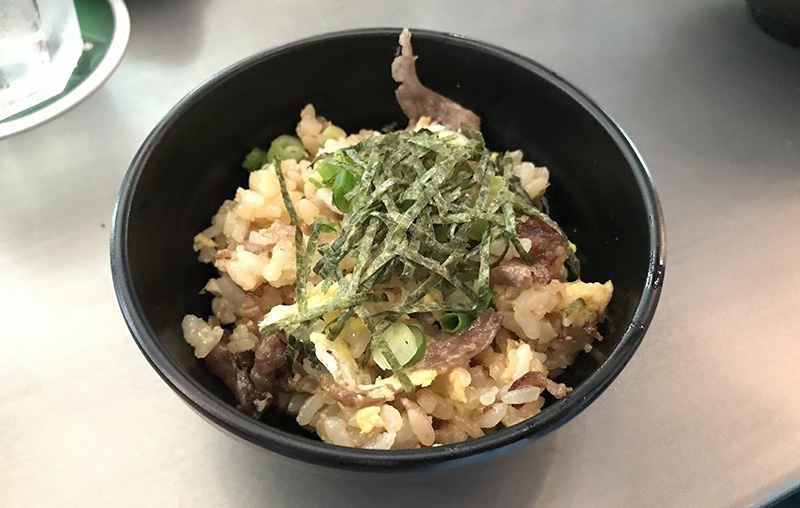 On the whole, ToriYard is one I would not mind recommending to those looking for yakitori and Japanese fare, particularly those residing in the northeast area. And a plus point — go for a nice stroll after your hearty meal at the park.